Information about pre-tours to Cincinnati and Detroit as well as a post-tour to Pittsburgh will also be presented. Space is limited so pre-registration is encouraged. 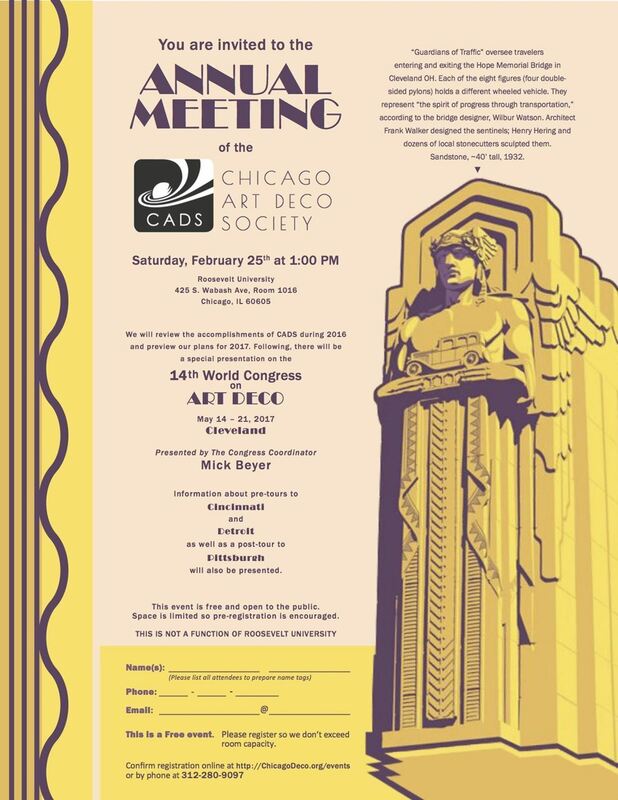 Email: jloundy@chicagodeco.org or call 312-280-9097.